In reality, some children just don’t eat, while there are some who adore junk food. How does then a parent ensure that the child eats just right, i.e., eats healthy. 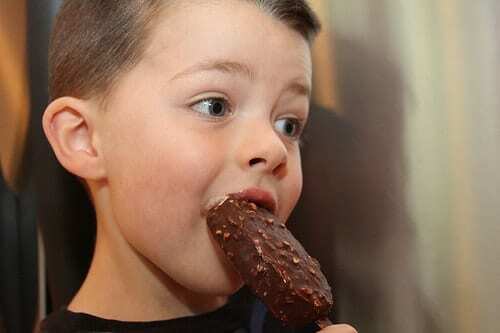 Parents’ eating behaviour influences children the most. If the habit of eating healthy and a balanced diet is practised regularly at home, children will stick to it. They won’t ask for a special meal unless it’s presented as an option to them. Kids like it when they are allowed to be a part of something. They are enthusiastic and would love to contribute their ideas. Take them along for grocery shopping. Let them pick a vegetable or two of their choice. Dressing the cooked meal or laying the table gives them pride. They’ll be more than happy to eat the dish on which their tiny hands have worked on. Often, the most healthy foods tend to be the most sullen looking, which acts as an immediate put off for children. They like bright and diverse colours on their plate. Plate the food to make it look like their favourite cartoon character or as something that intimidates them. ‘Exposure equals preference.’ Kids get bored very soon with what they eat. They love to have option. Present them with something new every week. They take their own time to decide what they like. This can be a way to figure that out. Also, junk food that they have previously gotten addicted to can be eliminated. There are dishes that are not only healthy, but also essential for their development. However, they could be repulsive due to the taste. That’s when the ‘one bite rule’ comes of help. It’s easy to emotionally win over children. Ask them to take a bite for the mother and one more for the father. At least, two spoonfuls will settle in their stomach. Stick to what has been said—one bite is only a bite and it doesn’t mean finishing the entire plateful. It might make the kids restless and angry. Thus, creating a negative meal experience for them that increases their picky eating tendency. Don’t force them or fight with them to finish the meal. After a healthy meal, ask the children how they feel. Tell them to think that they are going to feel very energised and strong. Associate food items with their moods. This might help them eat nutritious food without being forced to. Avoid scolding your kids for poor dietary choices. Instead, look for opportunities to help them learn from the consequences. For example, may be say the chaat they ate the day before might have caused the tummy ache in them. For taking a bite of a rejected food, rewarding them will create positive food experiences. It’ll also decrease picky eating tendencies. Give them stickers or toys. They might even rate the food positively in the future. Children may be pessimistic about eating healthy. They require a lot of effort, but it’s important to develop these habits at a young age. 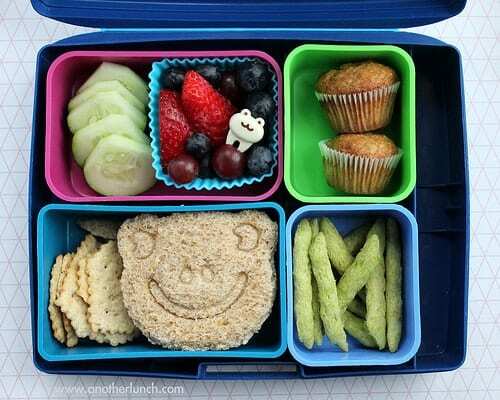 How will you create a fun and positive healthy eating experience for your child. Share your tips in the ‘Comments’ section below. 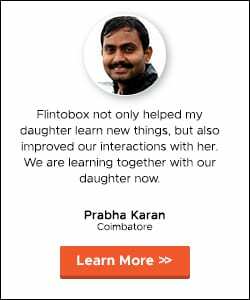 Vijay is the dad of a 7-year old and the key catalyst behind the idea of Flintobox. 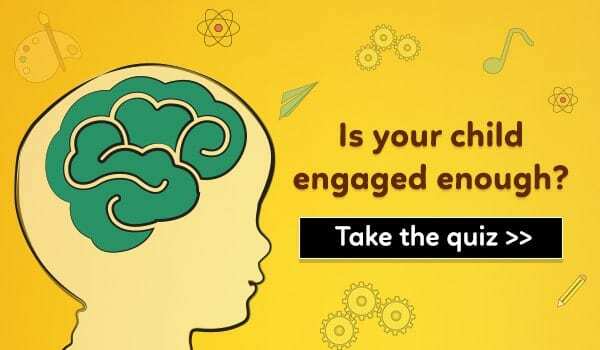 His passion for early learning and technology background provides Flinto the edge that makes it fun and educational for children. He is a technology graduate from Madras Institute of Technology, India. A foodie, who loves to spend tea time talking about various restaurants around town, he is always available for a quick fix. I totally love the Sponge Bob! I feel like making one for myself now! My tip – eat with them at the same table. Makes a big difference! I agree, nothing could be as effective as the personal attention you pour while you eat with your child every single day!